It isn't easy being green, as Kermit the Frog used to sing. Going into their Game of the Week showdown in Round 19 tonight, both Zalgiris Kaunas and Panathinaikos OPAP Athens can identify with the greatest of The Muppets. These erstwhile green machines are, of course, icons of European club basketball history. 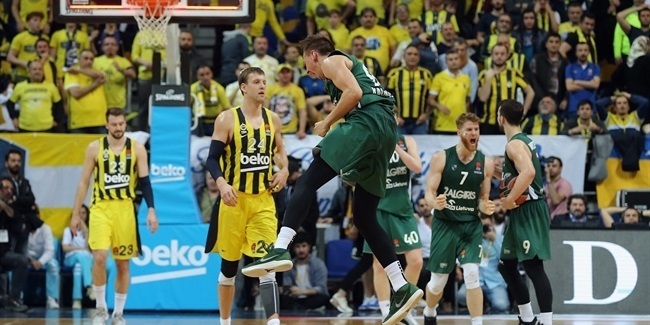 Zalgiris, the evergreen longshot, conquered the continent in 1999, raised legends like Arvydas Sabonis and Sarunas Jasikevicius, melted hearts in Belgrade last spring, and turned Kaunas into one of the best places on earth to witness a game. Meanwhile, the three-leaf clover of Panathinaikos still rules the Final Four era with six titles since 1996, boasts its own legends like Dimitris Diamantidis and Fragiskos Alvertis, and makes OAKA rock like no other basketball arena on the planet. All that said, the fact remains that these two green monsters share just one Turkish Airlines EuroLeague victory between them so far in 2019. Worse, their record over the last 10 games is a combined 7-13: Zalgiris 4-6 and Panathinaikos 3-7. Worst of all, both are looking up from the bottom half of the standings, wondering how they got there and hell-bent on escaping into the top eight playoff positions. With just 12 games left in the regular season, time is of the essence. Tonight's game could be the linchpin for the winner and the loser. Zalgiris is sitting in 12th place at 7-11 and after tonight plays seven of its last 11 on the road, including the next three. 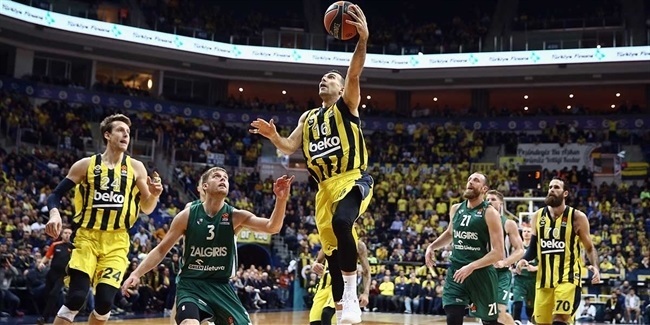 All things considered, that might not be a disadvantage, since Zalgiris has a 3-7 record at home this season, including the worst beating, by 21 points to Anadolu Efes Istanbul, in its last EuroLeague game at Zalgirio Arena. Panathinaikos, on the other hand, is allergic to the road, where it has a 1-7 record, including six losses in a row by an average of 13.1 points. These Greens play seven of these last 12 games away from home. They are in 10th place with an 8-10 record, but previously lost at home in overtime to Zalgiris, so if winning on the road is a must at some point, winning tonight would also flip a tie-break to the visitors. Both teams have and continue to deal with injuries. Panathinaikos has reacted by hiring a new coach, Rick Pitino, and new players, scorer Sean Kilpatrick and big man Adreian Payne. Zalgiris has plugged a hole inside with veteran forward Deon Thompson but is still waiting for its most experienced point guard, Leo Westermann, to return from injury. 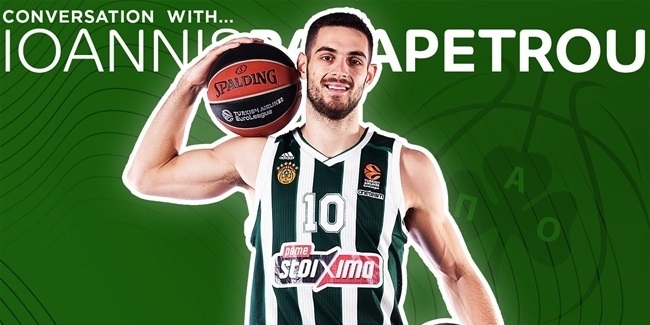 Panathinaikos will likely use Pitino's trademark ball pressure to try to rattle Zalgiris and raise the tempo to a level that the hosts don't have the speed or depth to match. Led by Nick Calathes, Panathinaikos ranks second in the EuroLeague in steals with 7.6 per game, while Zalgiris is the worst at turnovers, coughing up 13.6 on average. Jasikevicius, the Zalgiris boss, is well aware of Pitino's preferred style and will likely rely on center Brandon Davies, the most dominant big man on either team, to anchor the hosts. Zalgiris makes more free throws than any EuroLeague team, 18.7 per game, which is 5 more than Panathinaikos, whose accuracy at the foul line, 69.6%, is tied for the league's worst. Other than the above discrepancies, these two teams compare similarly on most stats, which means this game could come down to individual matchups. One to watch is between point guards Nate Wolters of Zalgiris and Nick Calathes of Panathinaikos. Wolters scored in double figures in 10 of 11 games at a rate of 14.3 points before a recent injury. He is on 5.8 points average in the four games since he returned. Calathes, the league leader in assists (8.1) and steals (1.7) brings a lot more big-game experience, but at 23.8% from downtown (19 for 80), owns a lot of his team's 30.9% three-point efficiency, second-lowest in the league. Both of those point guards have the same overarching mission tonight, to instill confidence in their teams at a moment when any psychological edge could be enough to win, and any win could prove pivotal in a tight playoff run with seven teams bunched between 9 and 7 victories, all looking for what seems like just two playoff spots within their reach right now. Of course, these two paragons of emerald can't both wear the same color tonight. Zalgiris will take that honor, while Panathinaikos will be the one in white. It's not easy being green right now, but one of these teams will breathe a big sigh of relief after getting a victory tonight.